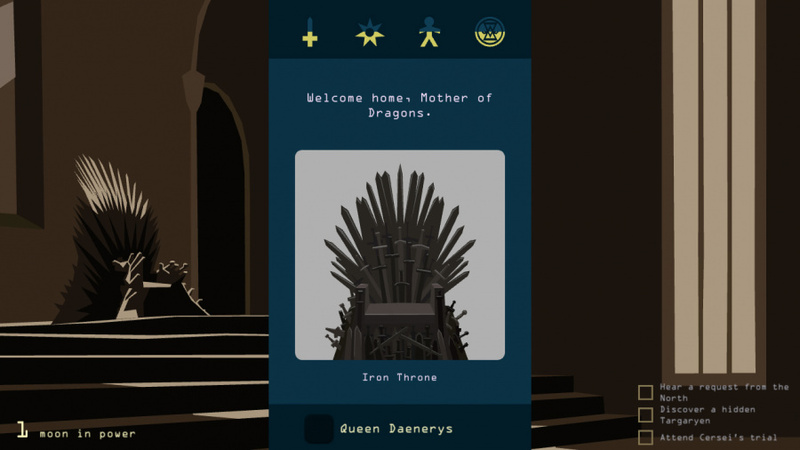 As as the case with previous versions of Reigns, the game’s biggest weakness is its longevity; while there are a dizzying number of potential routes through the story, after a few days of solid play you’ll have exhausted (almost) all of them. 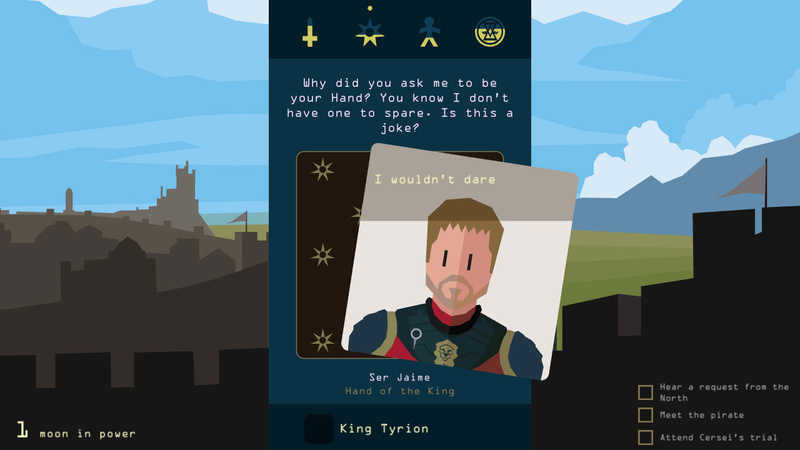 This was less of an issue on smartphones, where you’d play in short bursts, but on Switch, the game’s lack of staying power is more cruelly exposed. Having said that, it’s so well-written and downright unpredictable that you’ll readily forgive this shortcoming. 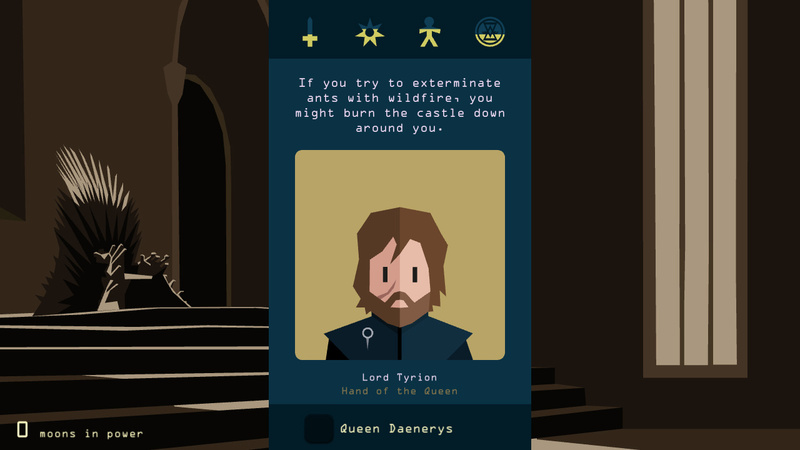 As an officially licensed game – complete with character likenesses in Reigns’ angular portrait format and Ramin Djawadi’s instantly recognisable score – Reigns: Game of Thrones is about as close as you’ll come to living the day-to-day life of a Westeros monarch, short of visiting the Seven Kingdoms for real. 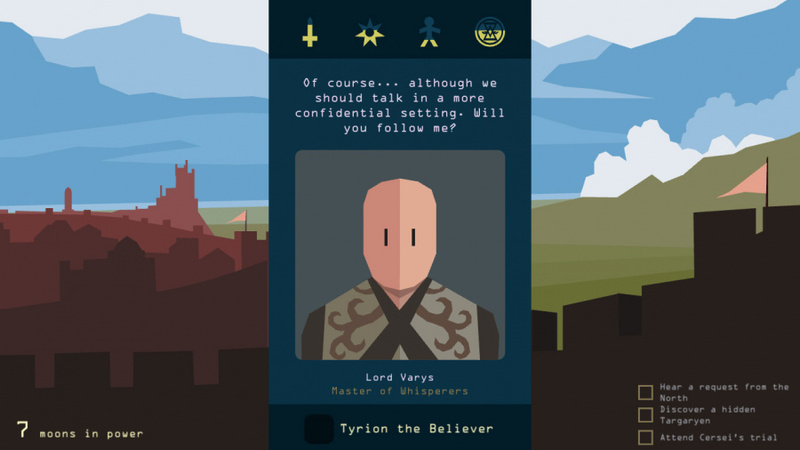 By bringing in key characters and events from the books and show, you’re given enough authenticity that exploring storylines only ever teased in the source material (such as seeing Jamie on the throne or a more compassionate version of Cersei) feel just as meaningful.